Earlier reports suggested that the opposition in Paris is rooted in the fear that the pipeline would confer too much “strategic power” on Moscow, potentially complicating its relationship with Brussels. Reuters has previously reported that Paris’s vote against the project could rob Germany of the blocking minority it needs to move the project forward. 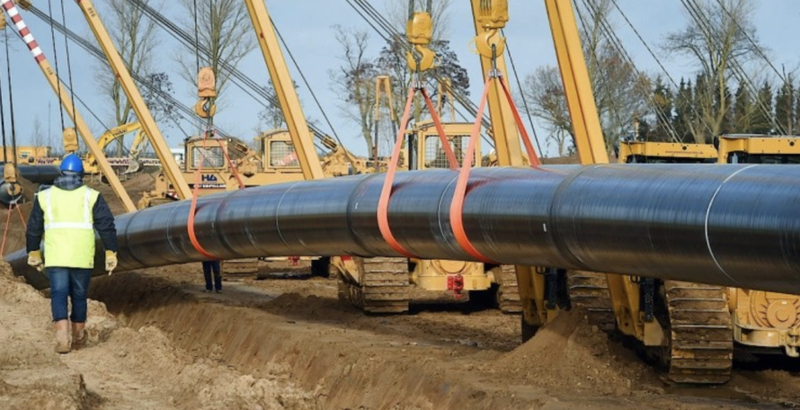 A vote is expected to be held next week on an amendment to the EU’s gas directive that could allow the European Commission to cancel the pipeline project, according to Sputnik. The project itself has been spearheaded by Gazprom and five European energy companies, and engineers for Gazprom said recently that the raw pipeline could be finished as early as later this year. Commenting on France’s plans to back the new EU regulations, which could very well torpedo the project, Russia defended the venture, arguing that it is beneficial for all EU countries. Richard Grenell, the US Ambassador to Germany, threatened sanctions last month against German companies working on the project, claiming the pipeline would give the Kremlin too much leverage over gas supplies to Europe (though, more importantly for the US, it could cut into the US’s exporting abilities). Responding to France’s decision, Kremlin spokesman Dmitry Peskov insisted that Moscow intends to closely follow the discussions in Brussels while continuing work on the project. After Berlin affirmed that it is in “constant contact” with the French over Nordstream 2, Merkel argued against the criticisms of the project, which aims to bring gas into Germany via a route under the Baltic Sea and a hub in Germany. Merkel argued that the pipeline wouldn’t make her country dependent on Russia for its energy supplies. “Do we become dependent on Russia due to this second gas pipeline? I say ‘no,’ if we diversify at the same time,” Merkel told journalists in Bratislava, where she met with the heads of states of the Visegrad Group, namely the Czech Republic, Hungary, Poland, and Slovakia. Once completed (that is, if it’s completed), the pipeline would deliver 55 billion cubic meters (1.9 trillion cubic feet) of Russian natural gas to the European Union annually. Russian President Vladimir Putin has accused Trump of trying to force Russia out of the European energy market to the benefit of US LNG producers (remember, the US became a net energy exporter late last year for the first time ever, and the US shale industry sees Europe as a key growth market). Though clearly, the EU doesn’t agree. 12 Comments on "EU Won’t Block Controversial Nord Stream 2 Pipeline"
Of course the project is both commercial and (highly) geopolitical. The pipeline is 30% finished and completed in 9 months time. Completion is more important than (immediate) exploitation and that seems likely now. The wine will be tasting good in the Kremlin tonight. Trumps power is being defused piece by piece by the suddenly empowered Dems. Russia and China know this, they read the Enquirer. The basic elements of American readiness for nuclear war remain today what they were almost sixty years ago: Thousands of nuclear weapons remain on hair-trigger alert, aimed mainly at Russian military targets including command and control, many in or near cities. The declared official rationale for such a system has always been primarily the supposed need to deter  or if necessary respond to  an aggressive Russian nuclear strike against the United States. That widely believed public rationale is a deliberate deception. Deterring a surprise Soviet nuclear attack  or responding to such an attack  has never been the only or even the primary purpose of our nuclear plans and preparations. The nature, scale, and posture of our strategic nuclear forces has always been shaped by the requirements of quite different purposes: to attempt to limit the damage to the United States from Soviet or Russian retaliation to a U.S. first strike against the USSR or Russia. This capability is, in particular, intended to strengthen the credibility of U.S. threats to initiate limited nuclear attacks, or escalate them  U.S. threats of first use  to prevail in regional, initially non-nuclear conflicts involving Soviet or Russian forces or their allies. The required U.S. strategic capabilities have always been for a first strike force: not, under any president, for a U.S. surprise attack, unprovoked or a bolt out of the blue, but not, either, with an aim of striking second under any circumstances, if that can be avoided by preemption. Location 352: The strategic nuclear system is more prone to false alarms, accidents and unauthorized launches that the public (and even most high officials) has ever been aware. Potentially catastrophic dangers such as these have been systematically concealed from the public. Location 5110: In August 1945 the atom bomb was simply fitted into a long, secret pattern of war making by the massacre of civilians. The Americans won’t like this as they are afraid of a German alliance with Russia in the future. The US is losing friends and allies, one step at a time. US isolation is sweet…for those outside the gulag. GO TRUMP! Not sure how more gas supply is bad for European consumers and industry? Other than maybe for the Noggie’s who have offshore gas to develop, but then they’ve kept themselves out of the EU. Merkel needs the gas to replace those bad old coal fired power plants with gas turbines, doomers rejoice! Not really sure why ZeroIQ characterizes this as ‘a stunning defeat for Trump’. Only true in the narrowest of senses. The jewnited snakes have been trying to scuttle Nordstream since….forever. Long before Trumpster Diver ever came along. Trump likely never heard of Nord Stream, where it was, or most important of all, why his inner circle of largely jewish advisers and sycophants are so keen on sabotaging it in the first place. Anon, but the average American’s memory is about one tweet long. History is what happened since breakfast. Rational thought is foreign to them. The small percentage of Americans who are intelligent, like yourself, will point it out but the rest of Americans won’t understand what you mean. That is America today. Foreigners understand more about America and what is happening there, than Americans. Trump is the perfect president for the times. Totally clueless. You know the US is bad when Americans say that they feel like they have more freedom in Communist countries like Vietnam. Theedy, war us hell and the objective is to confirm win or you will be destroyed. No matter how hard world bodies try to apply humane rules for engagement and captured enemy the lizardbrained are in control and such fun practices as spearing babies on bayonets or in the Mayans case, removing a beating heart is regarded as fair game in the moment. Humans need to embrace the better angels of their mercy and soon, before the nukes start flying or the crops start dying. The purpose of the pipeline is to phase out dirty coal with cleaner natural gas, a laudable objective, but something Trump has no affinity with. 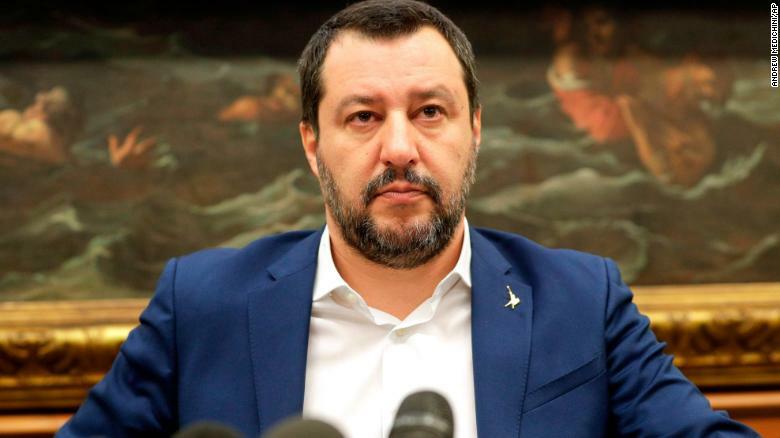 Interestingly Salvini also wants to be big buddies with Putin. Wonder how this is going to work out. This is overall, good for Germany and Eastern Europe as a whole.